The RAAF C-130J Hercules is a highlight of the Australian International Airshow’s Friday “Night Alight” airshow, with its spectacular high-speed ejection of missile decoy flares providing a fan of airborne fireworks in the night sky. For the team at Chemring Australia, the Hercules display will be a graphic demonstration of the aircraft’s use of its locally produced countermeasures, made in Avalon’s own back yard at the company’s facility outside Lara. Modern anti-aircraft missiles acquire their targets by either detecting an aircraft’s radar cross section (RCS) via radio frequency signals, or via the thermal infrared signature (IR) emitted from high-temperature areas such as an aircraft’s engine exhausts. 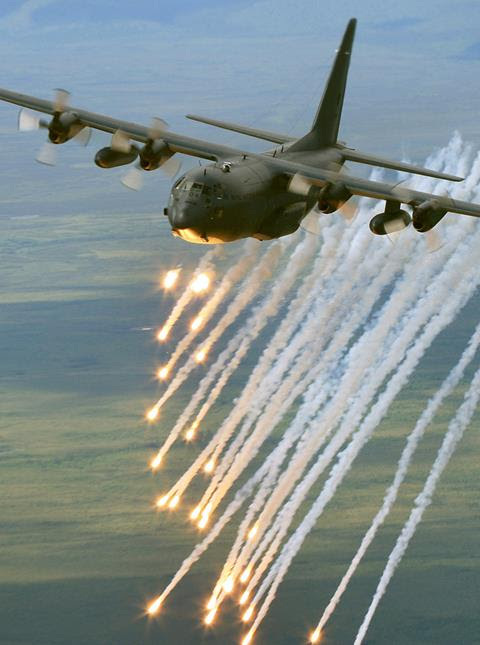 IMAGE: A RAAF C-130 ejects Chemring countermeasure flares. Chemring’s locally produced flares are used in training and some operational roles to counter IR detecting missiles, while Chemring’s sister companies overseas make a range of chaff products to counter missiles that acquire a target with an RF seeker. 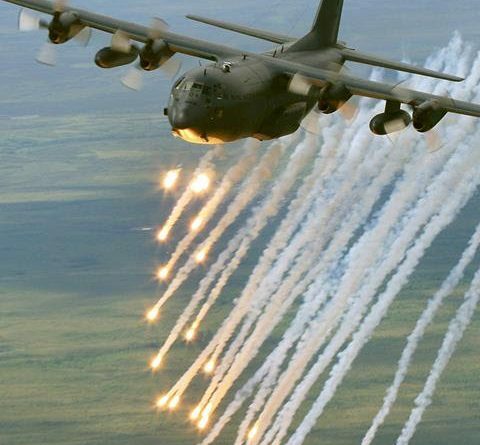 Chemring is acknowledged as a world leader in the field of countermeasures production, and provides countermeasures for use on a host of aircraft including jet fighters, helicopters and transport aircraft. Chemring is also a leading supplier for the F-35 Joint Strike Fighter program and will provide expendable countermeasures for aircraft in service with the Royal Australian Air Force. Chemring is also managing requirements to contract into the US Government for the supply of these products into other F-35 program partner nations. “Chemring Australia is the only producer of air-launched countermeasure flares in the Southern Hemisphere.” said Chemring Australia Countermeasures and Energetics Business Development Manager David Bloor. 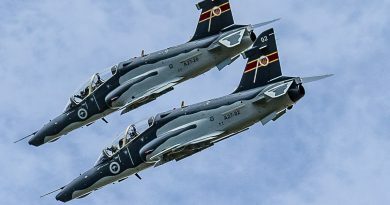 See Chemring Australia on Stand 2G9 at AVALON 2019. ← WOW’s first major act for 2020 announced.